Award Winning Results - Placed top of all Which? Best Buy Bagged Vacuums, Harry was the only model in the top 3 to be recommended for his reliability. Great Features for Homes with Pets - Harry has all the great features of the Henry you know and love, with the added bonus of extra pet friendly features. Perfect for Pet Owners - HairoBrush easily picks-up stubborn pet hairs from carpets and stairs. Reduce Pet Odours - Charcoal activated MicroFresh filter tackles lingering pet odours, meaning what goes in, stays in. 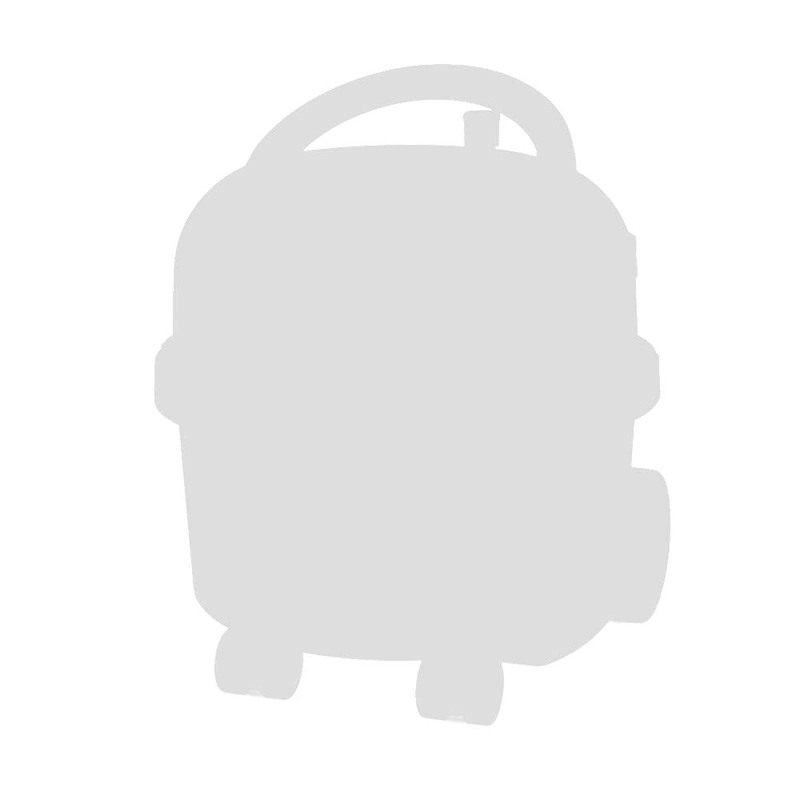 Up to x5 Bigger - Less emptying with a capacity up to x5 bigger than many bagless vacuums. Emptying with No Dust and No Mess - Henry HepaFlo Bags with innovative self-seal tab lock all the dust in the bag, meaning emptying with no dust and no mess. Placed top of all Which? 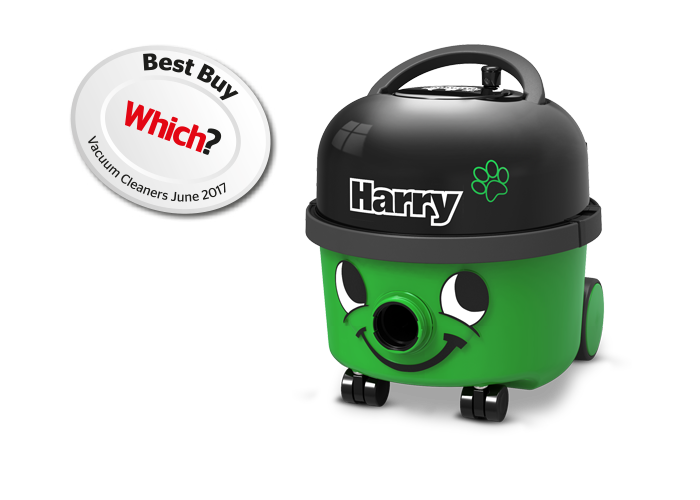 Best Buy Bagged Vacuums, Harry was the only model in the top 3 to be recommended for his reliability. Harry has all the great features of the Henry you know and love, with the added bonus of extra pet friendly features. HairoBrush easily picks-up stubborn pet hairs from carpets and stairs. Charcoal activated MicroFresh filter tackles lingering pet odours, meaning what goes in, stays in. Powerful, efficient and long-life cleaning technology. Harry’s innovative self-seal tab locks all the dust in the bag, meaning emptying with no dust and no mess. 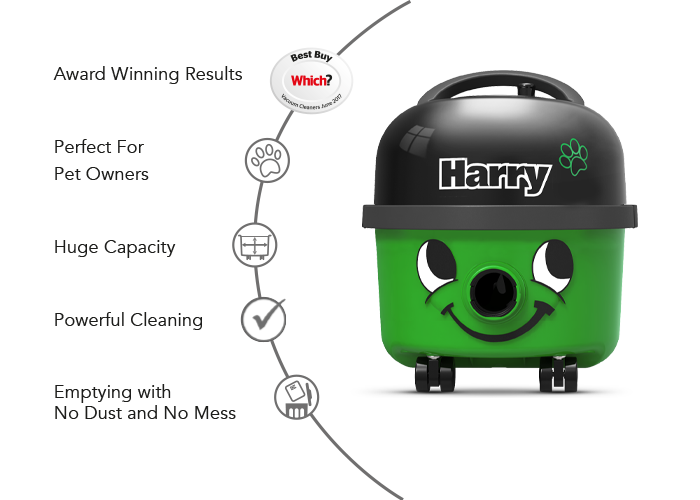 Proudly designed, engineered and made right here in the U.K.
Harry has all the great features of the Henry you know and love, with the added bonus of extra pet friendly features. His powerful HairoBrush is perfect for picking-up stubborn pet hairs and his MicroFresh filter effectively reduces pet odours. 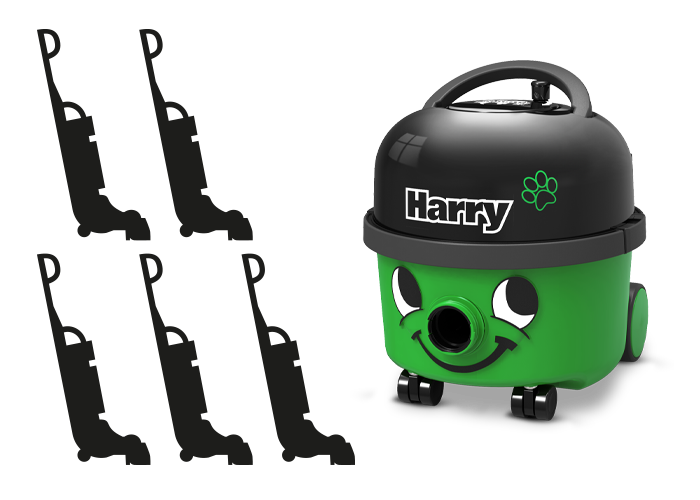 With his super long reach 10 metre cable, huge capacity and versatile toolkit, Harry will become (almost) as important a part of the family as the pets he’s cleaning up after. 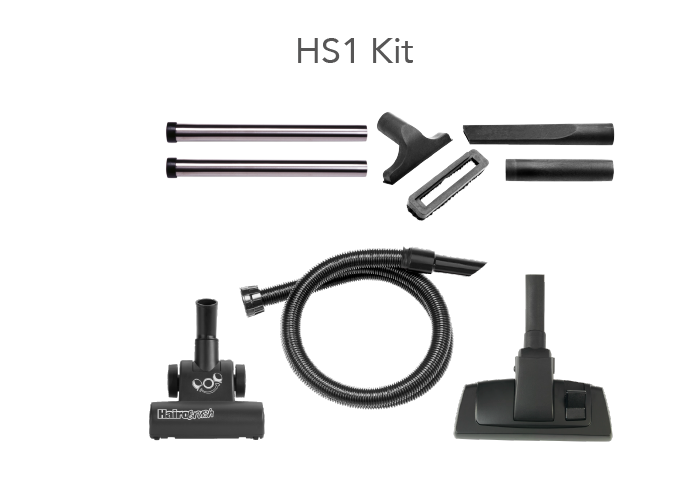 HairoBrush easily picks-up stubborn pet hairs from carpets and stairs. 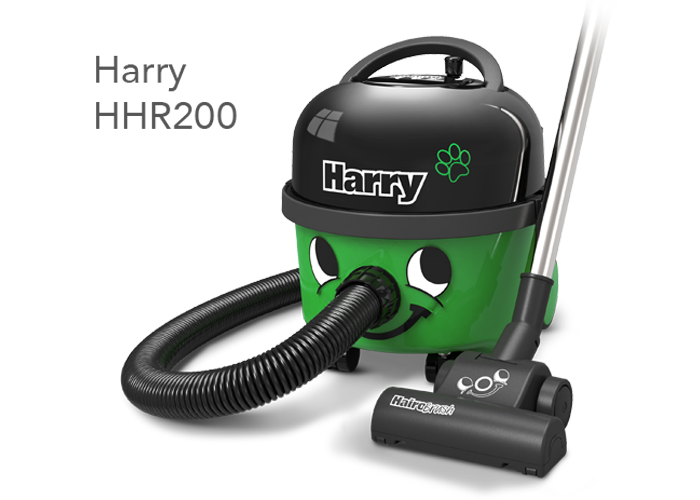 Harry’s powerful airflow operates the turbo brush bar, actively lifting hairs from the carpet fibres and making light work of large and small carpeted areas.